Me and my new t-shirt, which says; 'We Should All Be Striving For The Political, Economic, And Social Equality Of The Sexes. I have said it before, and I will say it again; I hope the future is equal. But to get to a future of equality, we all need to be feminists: WE SHOULD ALL BE FEMINISTS. Women have been on the resistance for years now, we have been fighting, and campaigning and rallying for decades. As humans on this earth today, those decades of resistance from our mothers, and their mothers and their mothers, we have found ourselves in a time of momentum; our voices being heard. The long-time traditionally known form of what it means to be female is changing swiftly and with force in today’s society. As such men have quickly had to look at what now defines masculinity to this redefined femininity, because the traditional masculine simply does not work with the new era of female. This is evident in what we are seeing in the medias daily breaking news. It’s a shift we are seeing in the silence being broken and consequences being dealt; never more so than this year, and specifically in the last few months. I am so unwaveringly proud to be a women in this era; to witness this historic shift, to continue to use my platform to (hopefully!) add voice to celebrate the wins, and also highlight the work that we still have ahead till we truly reach equality. As my T-Shirt says; WE SHOULD ALL BE FEMINISTS. I once (very) naïvely assumed that all women were feminists. The past few years have forced people, specifically women; to be part of the conversation. Through these conversations, ones I have personally had with other women, or observations of clear opinions typed in comments sections and status updates, I quickly realized my blanket assumption was not the case. An eternal optimist, part of me takes pride in the fact that I am still shocked when I find out a woman is not a feminist, because it means that I know and am surrounded by so many examples of ones who steadfastly are, that it has simply become my ‘normal’. As World Citizens of 2017, this time has also brought about conversations with men on the movement we are all apart of. Male feminists, are hands down my favourite type of male, and I wanted to take this opportunity to acknowledge all the incredible men in my world; be it family, friends, colleagues or digital community that are standing with, supporting and empowering women in this shift. My business partner: Geoff Bainbridge has been a long campaigner of not only empowering women in business, but actively and consistently challenging that the boards he sits on are weighted 50/50. Ensuring companies that range in start-up size to global entities have women on their senior management team, and as such; a seat at the table. My Dad: for supporting and cheering on anything I want to do in business, be it however crazy or seemingly unachievable. He has always been my biggest supporter to never let anything or anyone, stop me from achieving what I wanted in this life. MY DAD: Ron Wills, and I. 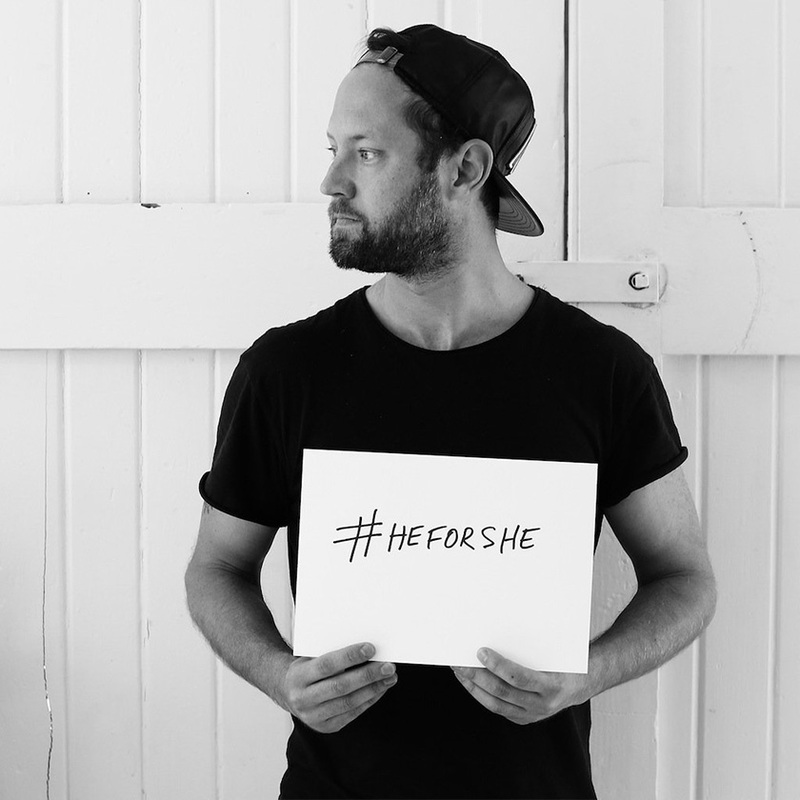 My Colleagues: The men I work alongside of through all departments of the SAMANTHA WILLS Pty Ltd business (pictured below, supporting the #HeForShe movement). 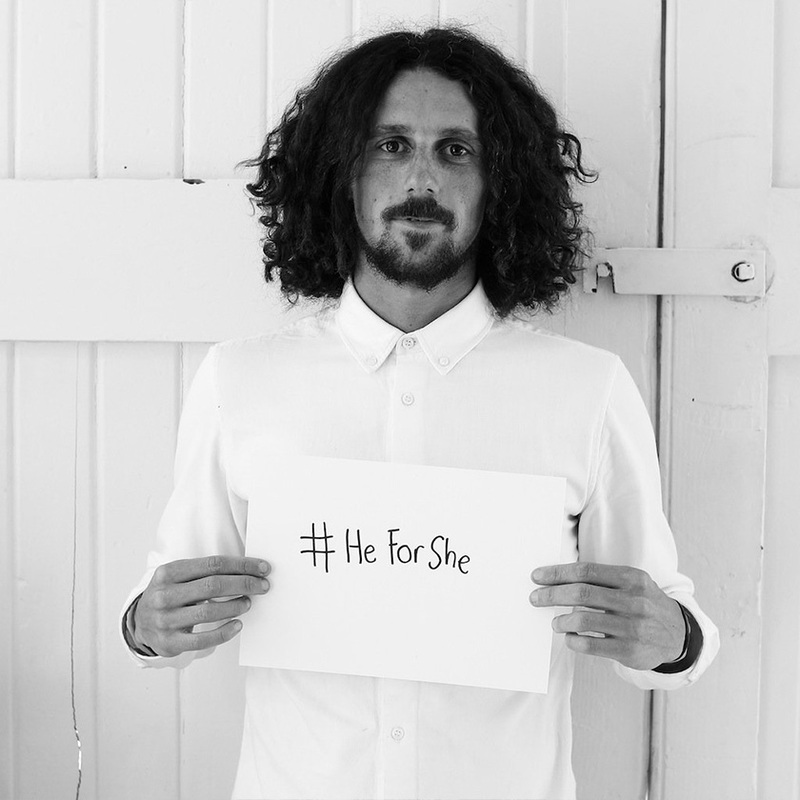 When Emma Watson delivered her iconic speech for the UN, we sat as a brand and the men in our office shared what the movement meant to them. This conversation alone empowered the women in our company in so many ways, it was such a honour to witness. ABOVE: Some of my incredible colleagues. Clockwise from Top Left; Geoff Bainbridge, Dave Allison, Ted Chiasson, Dave McHenry, Dean Grimster, Josh Smith. Treasury Wine Estates (TWE), where I work as Creative Director on the sparkling wine brand Yellowglen. The corporate alcohol industry is still heavily male dominated, and it is even more so that I admire that a company as large as TWE has a dedicated program called ‘TWE for She’ to push the needle in the industry of getting more women into senior management positions. To my friends who are becoming first time Dads to daughters. My heart bursts when they have the confidence of a newly defined masculinity; asking the women in their lives on how they can be a better Dad to ensuring their daughter is empowered, and is strong; and what they as a father to a daughter in this day and age can do to facilitate this. Feminism is a word that can often end a conversation before it even begins. It can bring strong sharp statements (which are very different to questions), or turn a social dinner into a heated debate table. I have been in each of these situations countless times. I have chosen to be a public activist for gender equality. I hope in my campaigning (be it at a social dinner, or in a media interview) that my message and voice is calm, considered, and evokes open discussions. This can only be achieved with knowledge, empathy and understanding. A dear friend and I have recently covered many angles of feminism. I have much admiration, and am SO grateful for his insights and passion on the issue and those that surround it. HE has taught ME much about feminism. What I have learnt from him in our conversations, has allowed me to add much more articulation to my public speaking and media work on the topic, and I cannot even tell you how much that has empowered me, as a woman, as a feminist, as an activist. I credit him for many learnings which have given my seat at the table, my voice; an added knowledge, empathy and understanding. The following is from a message he sent me. The documentary he suggested had the very impact on me that he said it would. It shows the way we are raising boys - not just parents; but rather, as a society. It is a powerful film, and is something I now often reference in my work and conversation on campaigning for gender equality. While we as women have much work to still do to reach the equality goal, this documentary very articulately shows the work we need to invest as a society in leveling the gap between the new definition of female, and as such; investing in the redefining of masculinity. I cannot recommend enough that everyone take the time to watch it. As 2017 is drawing to a close, what a year it has been, and we have all been here witnessing a movement in history. The stories emerging are heartbreaking, they are horrifying, and they have been not heard for far too long. But in the wake of the cracking of the tip of this iceberg; I am proud. Proud of how far we have come, proud of where we are going. 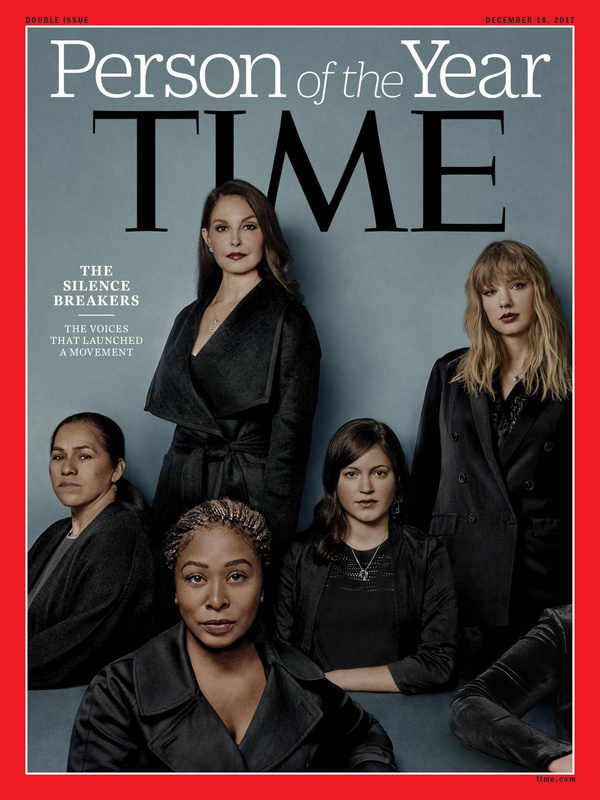 I am proud of the people; men and women, using their voices to be part of the Silence Breakers Movement. 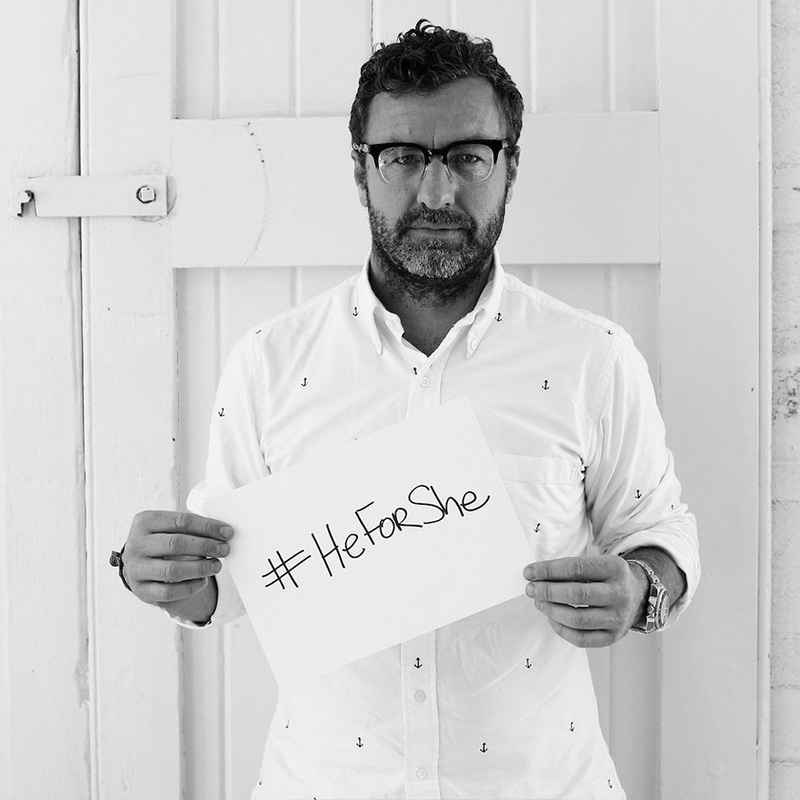 And today, I wanted to share this article, to celebrate all the amazing men who are feminists. I have infinite gratitude for not simply accepting what tradition to-date has defined as ‘masculinity’. I am inspired by your empathy, and empowered by your integrity. You have all my admiration. To get to a future of equality, we all need to be feminists.